"Imagine...Melting Fat Off Your Body And Building Lean, Ripped Muscle In Less Time per Day Than It Takes You To Read This Letter!" Men's Fitness Magazine calls this program "...the world's FASTEST workout that actually provides results." Don't worry, there's absolutely NO "sweatin to the oldies" with Richard Simmons here...I promise! These are intense but brief workouts designed to stimulate your fat-burning, muscle building hormones in as little time as possible. You Can Get a Complete TOTAL Body Workout in Just FOUR Minutes a Day WITHOUT Special Equipment, in Just 6 Feet of Space, Whether You're a Professional Athlete or A Professional Couch Potato. Get all these benefits in FOUR MINUTES a day! ... then this letter will be the fitness breakthrough you've been waiting for. HOLD ON! This is Not Just Another Slick Marketing Scam for "30-Second Abs" or "6-seconds to fat loss". None of That CRAP here! I can already see you shaking your head and saying, "Not another bullcrap 2-minute abs program that doesn't work!" Trust me...I know you've heard absurd promises before from companies marketing their "6-seconds to fat loss" and similar sounding programs, but I can tell you that this program gives you legitimate and intense workouts, and you WILL get in great shape if you follow them regularly. Now we're not claiming that this is the best training program ever invented, but what we are claiming is that this is specifically designed to get the best results possible in as little time as possible for busy people like you that would otherwise not have time to squeeze workouts into their daily schedule. It's Mike Geary here, founder of Busy Man Fitness .com, and author of the internationally best-selling online abdominal program, The Truth about Six Pack Abs. I've teamed up with world-famous Strength Coach Ryan Lee to bring you this exciting fitness program for busy business-men and busy Dads. Ryan and I are both in our 30's and live extremely busy lifestyles. Most guys would use this as an excuse stop working out, and become the typical 30 or 40-something guy with the beer belly. We decided that busy guys like you and I needed a killer workout program that would allow us to get in great shape despite the fact that we only have minimal time each day to devote to working out. Based on this, BusyManFitness.com was born! Thousands of busy dads and business men from around the world are now using this innovative program to successfully burn off body fat and get in spectacular shape. Working as Fitness Professionals, Ryan and I need to stay in top shape year round to be a good example to our clients. A new challenge began 3 years ago for Ryan...the birth of his first daughter! If you have kids, you know what happens to your time with a new baby. Ryan needed to stay fit. That's our job! But, suddenly, he had no time. If Ryan wanted to work out, to not gain weight as fast as his baby, he needed something he could do while he was waiting for the baby formula to heat up! Develop a workout that even the busiest men in the world could do, that would take one tenth of the time, and still produce great results. Holy crap! It felt like I had just finished an hour-long intense workout. I actually had to look at my watch twice to make sure I hadn't hallucinated the time. I was literally drenched in sweat! Ryan even taught the Four Minute Workout to his brother-in-law and he lost 15 pounds of fat while adding 3 pounds of muscle in just 6 weeks! Now I know these results may not sound as wild and hyped up as those supplement ads that tell you that you can slash off 50 lbs of fat in only one month while taking their miracle pill or powder...But this is reality here, and these were real life modest results, not your typical weight loss hype. Imagine doing some simple exercises while you wait for your dinner to come out of the microwave. Or squeezing in a total body, fat burning workout during the commercial break of your favorite TV show! Or using less than HALF of your coffee break to become lean, buff, and energized. Or getting an hour's worth of exercise in the time it takes for your shower to heat up! Imagine waking up in the morning in just 30 days and seeing muscles where you used to see flab. Running up a flight of stairs that used to leave you winded to climb. Playing with your kids or grandkids and having THEM be the ones that get tired first! When you try the first Four Minute Workout -- the workout Men's Fitness Magazine called "The fastest workout on the planet, that produces REAL results," you'll know you're on the road to the body you've only hoped you could get. These are real workouts with real intensity, not just another "sit on the couch, while you melt away fat" scam. If you're out of shape currently, that's still ok. You can take these at your own pace, but make no mistake...these workouts are no joke! Have your friends wonder what happened to you, since they haven't seen you spend hours in the gym! I WANT You To Be Skeptical! Look, I know you've seen the bogus ads on TV just like I have. They convince you that to get the body you want, you need to workout on their fancy $2000 machines. Or that by just taking some overhyped magic pill, you'll become a ripped specimin like the magazine cover models. I don't want you to believe that you can get even better results in just 4 minutes a day. I want you to TRY IT and PROVE it to yourself. Because there's nothing I can say that's as important as your results. I'm not going to try to convince you that Four Minute Workouts can take you to the next level -- whether you're trying to lose the first of 100 pounds, or wanting to move around the court quicker. I just want to show you WHY this program WORKS. And then make it SO EASY for you to prove it for yourself that you can't think of any reason NOT to take 240 SECONDS out of your day for a few days and see the results for yourself! Work Out LESS If You Want More Results! Total Kinesthetic Recruitment plus Time Separated Training equals a TECHNICAL KNOCK OUT workout. I know, that doesn't make much more sense. So, let me explain it, because when you understand TKR + TST, you'll see your friends who spend hours on treadmills or stair climbers or using expensive fitness gadgets, and you'll laugh as they continue to get no results, and you watch your body transform itself, day-by-day, with these simple Four Minute Workouts. Total Kinesthetic Recruitment means that each exercise or specially designed exercise combo in the Four Minute Workout uses your WHOLE BODY! Think about it, when you go to a normal gym, some "trainer" (who is probably more interested in making sure you pay your monthly dues than actually get in shape!) will show you dozens of exercises. A couple for your biceps. A couple more for your triceps or delts. One for the front of your legs. A different one for the back of your legs. And maybe even one to "isolate" the abs. Everybody is totally wasting their time with this outdated mentality that muscles need to be "isolated". If each exercise takes 2 minutes, you're looking at 20-30 minutes worth of isolation exercises. And that doesn't include the time it takes to walk from machine to machine, let alone give your body the REST it needs for maximum results! Then you go and finish it off with some long boring jaunt on the treadmill or the exercise bike. Now, you're looking at an hour to an hour and a half long workout, and the whole time, your body and your mind are BORED! But what if, instead of breaking your body into parts, you could work your entire body with one or two exercises or special exercise combinations (sometimes known as "complexes")? Not only that, but what if you could stimulate your metabolism and fat burning hormones to a higher degree with an ultra-quick 4-minute workout, better than you could with that long boring 1 or 1.5-hour workout? In fact, with the Four Minute Workout, you'll discover 15 different exercises that when combined properly, use everything from head to toe. Eventually, you'll be able to pick the ones that you like the best, the ones that you know are really revving up that metabolism and building a lean, rock hard body. I'm Serious. Do EVEN LESS If You Want To See The FASTEST Results! TST is Time Separated Training. Which do you think produces more fat loss and greater fitness: jogging at the same pace for 20 minutes, non-stop... or sprinting for just TEN minutes (1 minute sprint, 1 minute rest, repeat) in that same 20 minute time? Hundreds of studies show that the second workout, where you cut the workout time in HALF and then split that into tiny, more intense chunks produces the greatest fat loss and fitness gain possible. Using TST, you not only burn calories faster during the actual workout, but you KEEP BURNING FAT with an elevated metabolic rate for up to 12-24 hours after each workout! That means if you do the 4-minute workouts almost daily, you have now essentially increased your metabolism on an almost 24/7 basis. In the Four Minute Workout, you'll switch between 10-20 second "work" periods, and 10-20 second "rest" periods, depending on your current condition. This gives you the MAXIMUM benefits of TST. Save time by using your WHOLE body, and turn up the FAT burning thermostat by "thin slicing time." Starting to get the picture (the one with you in better shape by doing LESS than ever), aren't you? It doesn't matter if you've never worked out a day in your life, if the only exercise you get is running to the fridge before the game starts, or if you've been training for years, but want to get better results in less time. The Four Minute Workout is completely adjustable. If you think you're totally out of shape and can barely tie your shoes without getting winded, you'll see how to get started at a level that's perfect for you. Or when you get lean and fit and want more of a challenge, the EXACT SAME workout, with a couple of simple twists, can put a professional athlete on his knees, begging it to stop! And it couldn't be easier. Just pop the Four Minute Workout DVD in your DVD player, hit "Play" and follow along with Ryan as he works out with you. You'll see exactly how to do the exercises, in real-time. And you'll be told exactly how long to rest with a big "countdown" timer on your screen. WARNING: Four Minute Workouts ARE NOT For Wimps! Even though you can adjust the workout to your needs, these workouts are tough. If you want a wimpy personal trainer to coddle you and take it easy on you, then this program isn't for you. While you will only workout for 4 minutes at a time, these 4 minutes will be very hard. Sometimes, you might not even get through the full workout. You WILL be out of breath. You WILL be pushing hard throughout the workout. But that's exactly how you get the best results. It's a compact workout that truly works. I want you to know that you'll be working, but I don't want you to think you can't handle it. I mean, think about it, we're talking about a TOTAL of 240 seconds! If you can't handle working hard for 240 seconds once a day, you might want to check downstairs and verify that you're actually a man! By the way, if you've ever tried some other workout video where you get bored out of your mind with the workout, that won't happen here. Aside from the fact that it's hard to get bored in only 4 minutes, the Four Minute Workout DVD comes with 10 different muscle-pumping, fat stripping workouts on each DVD. That's 20 different workout options to keep you interested and getting continual results in the long haul. Workout starting to feel "familiar"... just pick another! Some people can't believe you can get a complete workout, one that can make you proud to strip down to your bathing suit, in just 4 minutes. But Alf Temme has been proving those people wrong for years. He says that 97% of the people who try his machine keep it because they see HUGE benefits in only 4 minutes a day... did I mention it was FOURTEEN THOUSAND SIX HUNDRED DOLLARS?! I think the Four Minute Workout is even more effective than his ROM machine. AND, you can do them ANYWHERE -- inside, outside, in your living room, your kitchen, in a park... there's even one you can do in an airplane bathroom! You don't need any fancy equipment, springs, pulleys or silly gadgets. Heck, you can even do a Four Minute Workout while you wait for your lunch to come out of the microwave! So, it's up to you. Buy the $14,600 ROM machine, or grab the Four Minute Workout DVDs for as little as $29.97 for one or $46.97 for both. You Could Have Lost 1/4 Pound In The Time It Took You To Get To This Sentence! With the Four Minute Workout, you can ramp up your metabolism to burn up to 879 extra calories per day. That's equal to a quarter pound of fat per day. Almost 2 pounds per week. So, in the time it took you to read this far into this letter, you could have turned up your body's thermostat to lose a quarter pound today. Don't go another day either NOT working out, or wasting your precious time by working out TOO MUCH! And if you still claim that you can't fit a 4-minute workout into your daily routine, then I'd suggest you start by finding a good time management course. Seriously...your health is your greatest asset. Make it a priority and watch how amazing you'll start to feel (and look) every day! Don't be like all of the other fat lazy guys out there with the beer bellies that use a million and one excuses as to why they "don't have time" to work out. Four minutes a day...that's it. No excuses here! Your Satisfaction is Guaranteed or You Will Receive a 100% Full Refund! If you're not satisfied with the DVDs, simply return them within 60 days, and you'll be given a full refund. This is a No-Risk Offer, so what do you have to lose? Nothing, except for all that stubborn stomach fat and love handles that have been hanging around way too long! Grab your copy of the Four Minute Workout DVDs today. Free Bonus #1 - World Famous Trainer Craig Ballantyne has generously allowed me to also offer you his unique 8-week Dumbbell Bodyweight Fusion Fat Loss Program - This is a super-effective fat loss program that uses special combinations of bodyweight and dumbbell exercises to deliver fast results over a progressional 8-week period. Great workouts to do at home! This ebook alone is a $24.99 value in itself! Free Bonus #2 - Stability Ball Killer Abs Workouts ebook - a $14.95 value! This ebook contains detailed descriptions and photos of the 8 most effective abdominal exercises that can be done with stability balls for rock hard abs and a tight core. Can be tailored to both beginners and advanced levels. Free Bonus #3 - Ultimate Stair Exercises e-book, by Virgil Aponte: an amazing 99-page e-book dedicated entirely to innovative staircase workouts that you've never thought of before. I must admit, I thought all you could really do was go up and down flights of steps for a good stairs workout, but Virgil opened my eyes to some great routines and unique exercises. This e-book sells for $29.95 by itself on Virgil's website (check it out for yourself), but he has been generous enough to allow me to offer it FREE with this promotion for a limited time! Act today, because I can't guarantee Virgil will let me offer this for long. Free Bonus #4 - Ryan Lee's Smoothies for Athletes e-book featuring 126 fast, easy and delicious smoothie recipes for maximum sports performance - a $22.95 value! 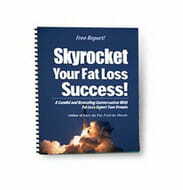 Free Bonus #5 - Skyrocket Your Fat Loss Success - a $17.99 value: In this revealing interview, Tom Nicoli, a clinical hypnotherapist who was featured on Dateline NBC’s Ultimate Weight Loss Challenge, meets with fat loss expert & best selling author Tom Venuto. The two Toms discuss what it really takes to "skyrocket" your fat loss success and they uncover the reasons why it takes more than hard work and physical effort to succeed – it also takes the right mindset. Some of the facts Tom reveals will surprise you because you won't hear them from most other experts in the weight loss and fitness industry. Why? Because they either don't know or they have a vested interest in keeping the truth hidden from you. Free Bonus #6 - Kevin Gianni's 10-Minute Full Body Stretch Routine ebook - a $14.97 value! Flexibility is the most often neglected aspect of fitness for most people. Improving your flexibility will vastly help you improve your: back pain, shoulder pain, knee pain, hip pain, muscle soreness, exercise form, elimination, organ function, muscle strength, and more. Don't put this decision off until later because I can only offer these valuable bonuses during this special promotion. So make sure to order today so you don't miss out on over $125 worth of valuable ebooks. 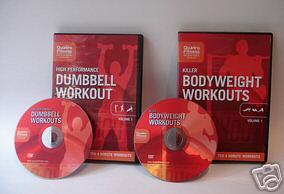 If you're still unsure if these DVD programs are right for you, be sure to visit the Frequently Asked Questions page. If your answer is not there, feel free to email my support staff at help-desk [at] truthaboutabs.com and we will answer any questions that you may have. I promise you that I will get back to you within 24-48 hours (usually sooner). I hope you're ready to get in the best shape of your life, regardless of the fact that you only have a few minutes a day to workout! P.S. - You can preview the Four Minute Workout for two whole months with no risk at all. You're protected by an iron-clad 100% money-back guarantee! You have nothing to lose but some of that excess blubber! With these workout programs, you can choose to do 1, 2, or 3 rounds per day for a total of 4 minutes, 8 minutes, or 12 minutes of total workout time each day... it's really just up to you and your schedule. P.S.S - For as little an investment as $29.97 (less than you'd spend on some greasy dinner at a restaurant), you can take action today and improve how you look and feel for the rest of your life! Or you could be like all the other fat lazy slobs and use excuse after excuse as to why you don't have 4 minutes a day to devote to your body. I hope that you're a bigger and better man than that! Order your DVDs right here today.